The Groningen Cable Car is a proposed urban gondola for downtown Groningen, a small but vibrant city in the Netherlands. 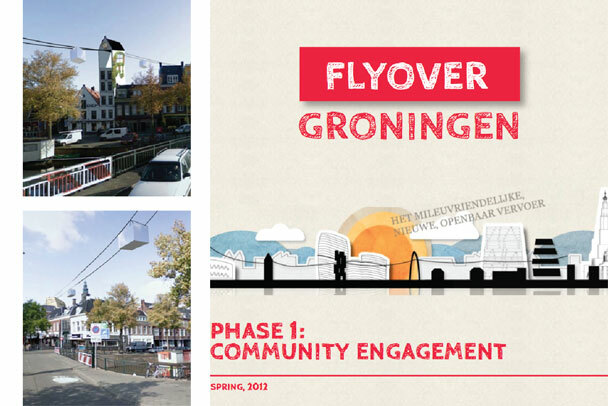 The Phase 1 Document was created for Flyover Groningen to help gather local support and funding to proceed with the next phase of the study and analysis. The city itself is home to thousands of students, while the area of study is particularly popular among tourists and attracts thousands of patrons on a daily basis. The study provides an introduction to cable transit and looks at how cable could work in Groningen and the steps needed for the project to move forward. Flyover Groningen -- a not for profit group created in 2012 by a network of local stakeholders and interest groups who wish to actively pursue the construction of a Groningen cable car.